Most companies have used — or are still using — Microsoft Excel® spreadsheets to manage their budgeting process. Spreadsheets do have some advantages, but generally they are best suited for individuals, small work groups, and new companies looking to get up and running quickly. As your company grows and faces new budgetary challenges, you need to produce more detailed forecasts and performance data. It also becomes more important to eliminate the data integrity issues that grow along with the size of your budgeting spreadsheet. From complex calculations and broken formulas to logic errors and accountability issues, your company’s use of spreadsheets can be a detriment to success. More than 60% of survey respondents believe they spend too much time on forecasting, budgeting and planning. Your spreadsheets are used for enterprise-wide reporting. Spreadsheets take too long to maintain and limit your ability to provide accurate, timely budgets. 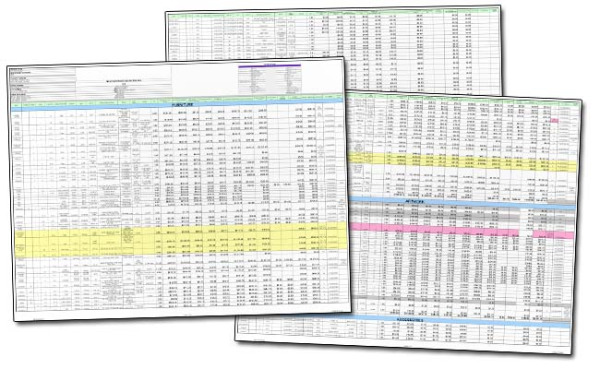 Your spreadsheets have become data sources or are used for financial statements. You have no ability to perform in-depth analysis. If any of the four signs ring true for your organization, it may be time to step up to an enterprise budgeting solution. Sign up for a complimentary 60-minute webcast to learn how an enterprise budget provides a complete view of your financial picture and enables you to support broad participation across the organization.